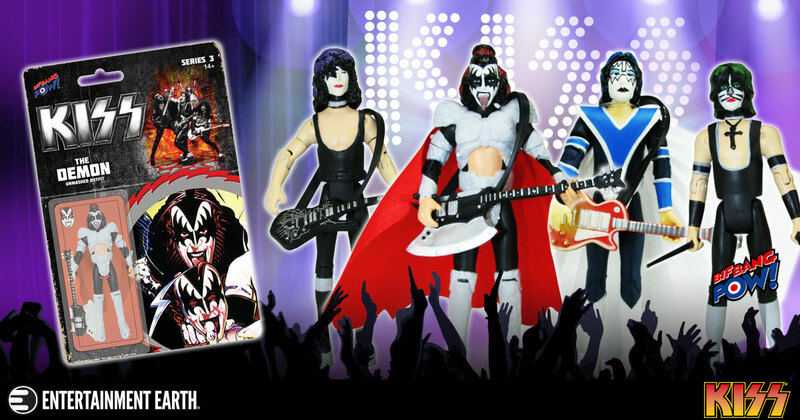 Following on the heels of the highly popular Love Gun and Dynasty action figure sets, this Series 3 set features The Demon, The Starchild, The Spaceman, and The Catman figures with 11 points of articulation (neck, shoulders, biceps, elbows, hips, and knees) and come with corresponding instrument accessories, including The Demon’s Axe bass guitar, The Starchild’s cracked mirror guitar, and The Catman’s black drumsticks. 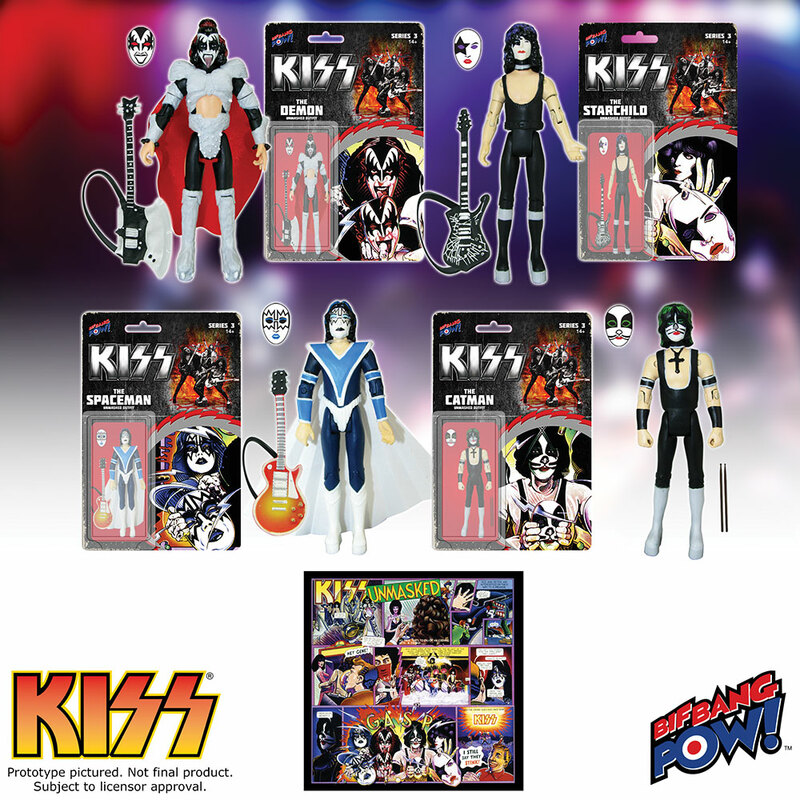 The set also includes miniature paper mask cutouts – as depicted on the inspirational Unmasked comic-book-like album cover. You can pre-order this KISS Unmasked 3.75″ Scale Action Figures by Clicking Here. The set of four is priced at $59.99 with a release scheduled for August.